We will be providing light hors d’oeuvres and talking community so bring your questions, ideas, issues, and willingness to share and I’ll see you there. The other day I was finally feed up. Every day when I open my Git Bash window to pull in some new changes or push an update to GitHub the commands just seem to take forever to run. Even just a simple ls outputs the directory information to the screen but takes about 8+ seconds before the prompt returns. I finally resolved myself to figuring out how to speed things up. As usual Stack Overflow (http://stackoverflow) to the rescue. Someone else was also experiencing the same issue, Git/Bash is extremely slow in Windows 7 x64. The solution for me was to uninstall mysysGit 1.7.4, re-install, and then reboot. Now the Git Bash command return almost instantly. Oh, don’t forget to backup any files you may have had in the git home directory, like .gitignore, etc. This turned out to be only part of my problem, the next day the slowness returned. After doing a little more investigation I determined that my $HOME was being set to %HOMEDRIVE$%HOMEPATH%. Which for me turned out to be a network mapped drive, my company has a logon script that maps me to a networked home drive. This also explains some issues I had with configs when not on the work network since it was looking in two places. The next solution was to create an environment variable HOME and point to to where I wanted all of my config files to reside, not on the network of course . To keep it simple and to make it work for all users I pointed HOME to %USERPROFILE%. Now, the Git Bash commands are running a lot faster. Registration for the 2011 Dallas Techfest is now open! Visit http://DallasTechfest.com for a list of speakers and other information. The Dallas Techfest is once again brining some of the very best speakers on Java, .NET, Ruby and other technologies in the Dallas area over 2 days. That’s right this year is a two day conference. Lunch will be provided each day as part of the ticket. Community Leadership Town Hall! Friday night, Jay Smith will be facilitating a Community Leadership Town Hall. This is an open space style discussion focused on the challenges of building communities in the technology arena. Agile Scrum Immersion (8/10 & 8/11)* - Organizations are increasingly moving from traditional waterfall methods of software development to agile methodologies. Scrum has emerged as one of the most commonly applied agile practices. Today's successful software projects implement at least some aspect of Scrum. This intensive two day instructor-led course guides participants through every characteristic of Scrum, including roles, planning, artifacts, and most importantly, the motivation behind implementing these elements. All this will be experienced through a balanced combination of lecture, candid discussion, hands-on exercise, and demonstration, as well as a few surprises. Team Dynamics Workshop (8/11)* - Full details will be available shortly. 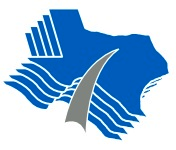 *Please note that the pre-conference seminars have minimum attendance requirements, and should these requirements not be met, your ticket will be refunded all but $100, the price of admission to Dallas TechFest itself. There will be no refunds available after July 15th, 2011 at 12:01am. After that point all sales are final. Don’t forget to use discount code TwoDays you will get $50 off the price of a ticket. I just read on Scott Spradlin’s blog that St. Louis will be having a Day of .NET hosted by the St. Louis .NET User Group to be held August 5th and 6th. There are already 33 confirmed speakers and 51 confirmed sessions, with more being added each week. You can find biographies of the speakers, as well as abstracts of the scheduled sessions, on the conference web site. A full agenda will be provided soon and a mobile session builder is being constructed. The event will once again be held in the Ameristar Casino & Resort this year. Hotel rooms are available on-site, as they have been the prior two years. Friday night will we will host our annual attendee social networking night, where you can grab a bite to eat and talk with speakers and sponsors in a relaxed atmosphere. This will be held in the nightclub area of the Ameristar and is exclusively available to the attendees at no additional charge. 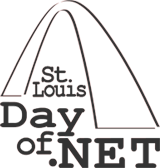 More information can be found at http://www.stlouisdayofdotnet.com/2011.